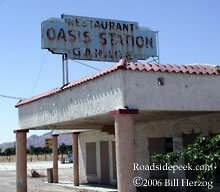 The Oasis Station was a famous roadside fixture on 86 back in the 60's and 70's. 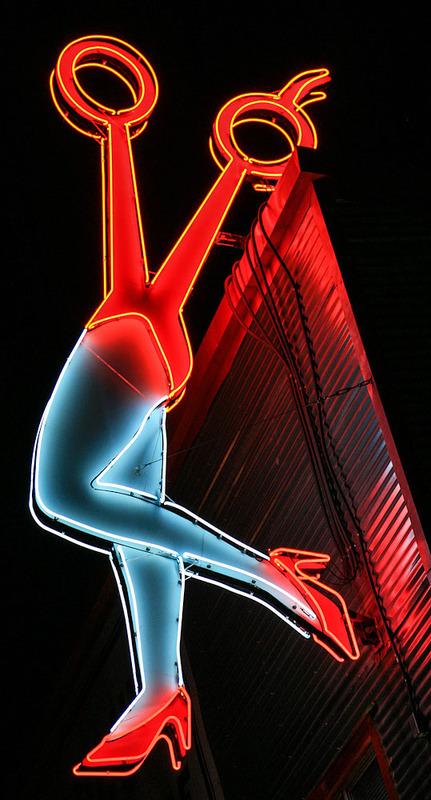 This sign used be all lit up in neon at night. See this sign and more at Roadside Peek's Petrol Pumps California Desert. Zowee... it's.. it's .. an elephant! 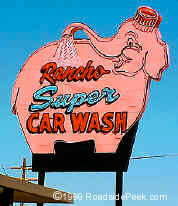 Rancho Super Car Wash off of Palm Desert Highway in Rancho Mirage to be exact. Check out other car washes from the desert area at Roadside Peek's Car Washes California Desert. The signs for Rubens Transmission is faded and has now fallen into disrepair. Another old signage treasure is slowly fading away. Check out other auto shops at where else bu at Roadside Peek's Auto Shops California Desert.